Dani Le Rose could be put on the genre shelf next to Lana Del Rey and Lordes because of her dreamy, woozy pop but there’s something altogether edgier and overtly sexual about this tune that knocks any challengers back on their heels. ‘I’ve Told Lies’ is confessional, sure, but it doesn’t really care. This is the equivalent of your neighbour telling you they’ve been watching you through your bedroom window whilst secretly hoping that you’re in to it too. Le Rose has a beautifully understated, soulful and breathy voice which, when coupled with her dead eyed Stepford stare throughout the video, makes this a compelling watch and listen. Throw in the scattered beats and sparse melodies and you’ve got yourself a genuine alt-pop seduction tune that should go on your date night playlist. Maybe don’t add the video though, it’s properly creepy and uncomfortable. Indeed, a seductive tune, and her voice can be equally seductive. I especially enjoy listening to this song (and Dani's other songs) at night. Such a brilliant artist! Do not adjust your sets, electro fans, Rrussell Bell has an extra ‘r’ in his name and there’s nothing you can or need to do about it. 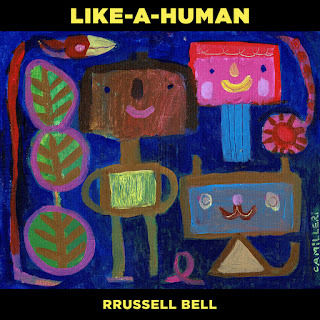 Bell’s new single, ‘Like-A-Human’, comes as the first release from a new EP due out in April and it will delight fans of electro-pop with an 80s vibe and a dark heart. Some operatic synths are soon blasted away by a semi-industrial beat and melody that evokes memories of Bell’s former bandmate Gary Numan as well as hints of Kraftwerk, Giorgio Moroder and New Order which is fine company indeed. There’s a really pleasing and infectious combination of a persistent rattling beat and simple yet uplifting melody. Bell’s vocal delivery has a reassuringly deadpan approach and the searing guitar that joins in on the coda gives this track the denouement it deserves. A great shot across the bows but I suspect the EP will have more treats in store. I get to listen to a lot of new music which is great but there is a lot of stuff out there that sounds the same as the last thing I listened to and probably the next thing too. 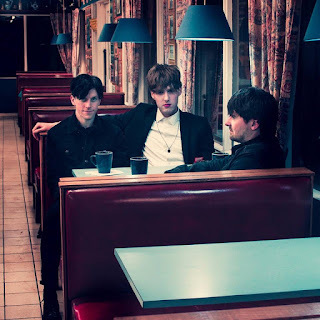 Its always great, then, when a song kicks you up the backside and demands your attention in the way the new single from Scottish trio Echo Machine does. ‘Chameleon’ kicks in hard with big drums rapidly followed by huge, puffed out indie melodies with a grumbling, fuzzed up bass line and sprinkled melodies. There are definite 80s references in this and the vocals would fit in to the National or the Killers without missing a beat, such is the size and ambition of this tune. Echo Machine have only been operating for a year but with tunes like these there is nothing standing in their way. South West rock outfit Lady Jane’s Revenge have bucked the trend of most heavy bands these days by not only smiling in their press shot but also not just sticking to black attire – there is still a fair amount of facial hair going on, though. 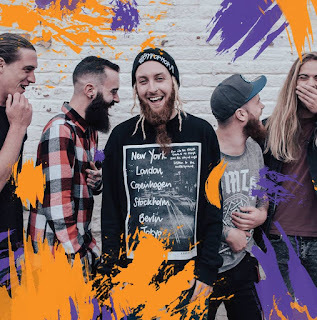 The five piece’s new single, ‘Pure’, is also keen to step away from stereotypes as the punchy rhythm section and searing melodies take you back to the post-grunge US scene while the vocals of frontman Billy Crook walk that fine line between alt-rock and chart troubling indie anthems. Lady Jane’s Revenge are a veritable box of chocolates with everything from their look to their sound throwing up surprises and I sure do love a surprise or two. BLACK FUTURES – the enigmatic duo have mustered some great singles, impressive videos and the kind of festival performances that will have people asking ‘were you there?’ in years to come. If the future is as bleak as the media would have us believe, Black Futures are the band we all need to see us through and soundtrack our Mad Max existence. HAVVK are a trio drawn together from the disparate cultures of Berlin, London and Galway but they are drawn together to make both visually and sonically arresting art for which we should all be grateful. New single ‘If I Don’t Tell You’ opens with a tightly strung guitar line that draws inspiration from the likes of Maximo Park, Yeah Yeah Yeahs and Young Knives while the drums drive forwards with relentless energy. HAVVK have an intense energy that takes a little adjusting to but once you’re tuned in properly the rewards of the melodies and lyrics are just sumptuous.